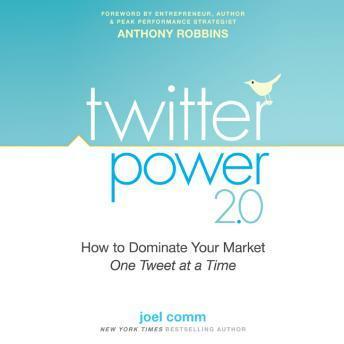 In this revised and updated edition of Twitter Power, online marketing entrepreneur Joel Comm explores the latest trends, methods, and practices for making Twitter work for your business. You'll see how businesses and marketers are building a loyal following among Twitter members, expanding awareness of their product or service, and even handling negative publicity due to angry or disappointed customers. Updated with the latest business applications for Twitter, recent case studies, and other relevant social media info, Twitter Power gives you everything you need to tweet your way to success. As a new business owner I was completely unaware of Twitter as a powerful business tool. Twitter Power 2.0 has revolutionized my business. Using the information in this book I was able to get 52k Twitter followers and more engagement from my followers. This is a must read for any one looking to expand their brand or business using social media with its valuable content and great real-world examples.